Guam is a tropical destination with clean and beautiful beaches, has an abundance of restaurants and various cuisines to choose from, as well as a laidback atmosphere for your much-awaited chill vacation. Aside from that, it’s the nearest shopping destination in Southeast Asia for those who want to experience what it’s like to shop ‘til you (literally) drop in the US! I went back to Guam and went home with 45 things during my shopping trip. 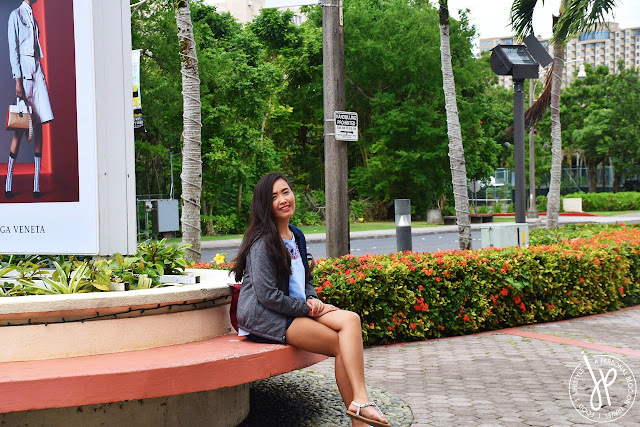 For tourists who haven’t been to Guam yet, here’s an inside scoop and some shopping tips for you! • GPO is your best bet when it comes to outlet shopping. • Ross, Tommy Hilfiger, CK, Nine West, Skechers, Levi’s – these are just some of the stores you’ll find here. • For souvenirs, there’s an ABC store inside GPO. • There’s a food court at the basement level where you can eat and rest for a bit. • Outside GPO at the parking lot is a relatively new and huge Forever 21. • You can get here via free shuttle from selected locations. • Think about the style of Ayala Malls in the Philippines and you will not get lost at Micronesia Mall. • This mall has the second branch of Ross and other stores such as Foot Locker, Macy’s, GAP, Guess, and Lacoste. They even have a Bench here! • You can find popular fast-food chains and restaurants here like Burger King, Denny’s, Taco Bell and more. If you can’t figure out what to eat, just go up to the Fiesta Food Court. • Micronesia Mall also has Pay-Less Supermarket, an activity center at the ground floor, and a movie theater. • If you love branded makeup and other luxury brands (Chanel, Hermes, Cartier, etc. ), drop by T Galleria DFS to score items at duty free prices. • Product range includes fashion, accessories, beauty, fragrances, watches, jewelry, wines, as well as food and gifts as souvenir. 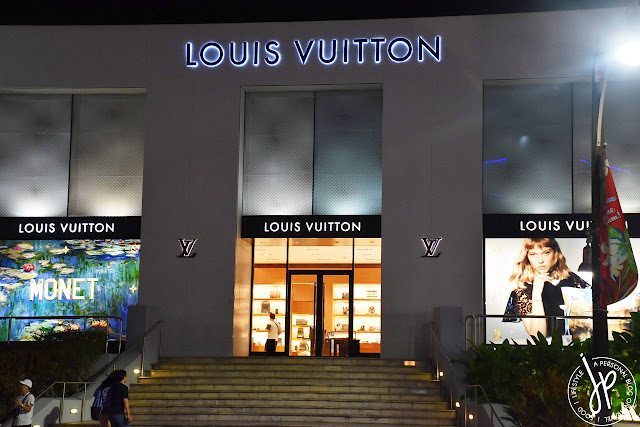 • Here’s another location for luxury shopping in Guam, with stores such as Balenciaga, Bulgari, Gucci, Rolex, Tiffany & Co., Swarovski, and Louis Vuitton (yes, Guam has two LVs). • Less crowded and quiet. • You can get better discounts when you buy two or more perfumes. • Some of the scents they sell don’t have testers. • The brand selection can be limited as compared to Macy’s in Micronesia Mall. • Ross is the ultimate place for great discounts and bargains. • The first and original branch at GPO (Guam Premier Outlets) is the biggest and opens at 6:00 AM (they have a separate entrance door outside of GPO), has plenty of shoes, apparel, bath items and home accessories. It’s always full of customers, especially on weekends. • The second branch at Micronesia Mall is smaller (about 1/3 the size), but fewer people and has more good stocks on women’s bags, wallets, and accessories. • Start shopping at Ross in the morning and preferably on weekdays so you can get better items. The shelves and racks are also replenished and in order. • This is your typical supermarket. Though it’s smaller than Kmart, it is well-stocked and has plenty of options, especially for fresh produce. • Has a ton of Filipino grocery items. • A big department store that’s open 24/7. Think of S&R and SM Hypermarket in a magnified version, selling clothes, shoes, food items, appliances, school and office supplies, drugstore makeup, and a lot more. 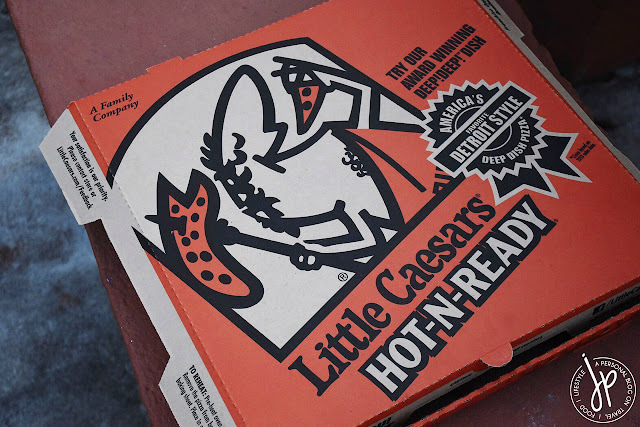 • There’s Little Caesars Pizza inside Kmart and is available 24/7, too. An order of their pasta is good enough for two people. • Guam souvenir chocolates and small items are available here, as well as swimsuits, rash guards, swimming trunks, and summer dresses. • Kmart puts up appliances, coolers, and camping gears on sale for a limited time. Grab them if you want to bring home one because items on sale run out pretty fast. 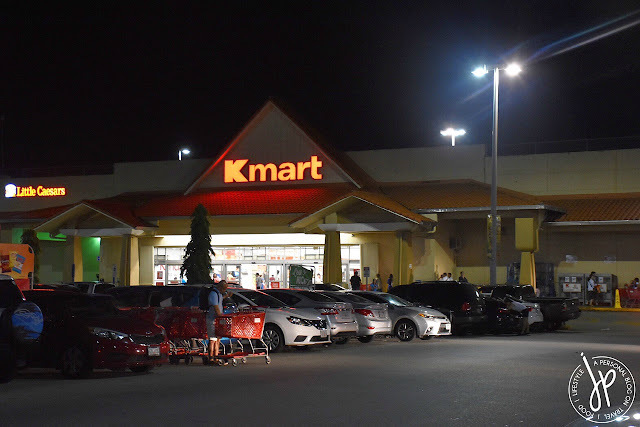 • The line at the cashier can be very long, especially during the day so if you want some serious shopping at Kmart, drop by during the wee hours. • This tech store has everything you need when it comes to Apple gadgets and accessories. • If there are hard to find accessories in Manila, they probably have those here. The staff will assist you and let you look at the shop freely. 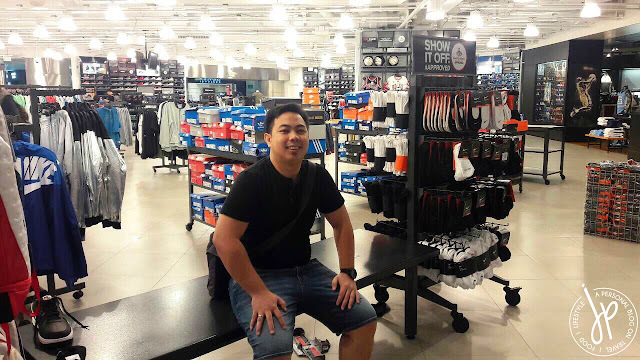 • Racks of sportswear and walls upon walls of shoes for men, women, and kids are available at Foot Locker. Though the price is very comparable to Philippine prices (depending on the exchange rate), Foot Locker usually has more designs, stocks, and sizes. • Catch the sale corner where they stack boxes of previous seasons’ shoes or last size pairs (usually Nike and Adidas). I haven’t seen anything above $65. • You can apply for a membership at Foot Locker even if you’re a tourist, just as long as you have a local Guam number. Prepaid sim cards are available for purchase in Guam. • There are several stores in Guam that sell Birkenstock sandals. However, I recommend visiting their branch at The Plaza Shopping Center because of good customer service and more style options. • The staff at The Plaza is highly knowledgeable of their products and will assist you diligently with your needs. They will also tell you honestly if you have questions pertaining to quality, price, and if the style looks good on you. • The store has lots of promo and on sale racks. It also has a section for clearance sale of up to 70% off. • The physical store is huge and has plenty of selections and good quality stocks are available. They have jeans, shirts, tops, dresses, jackets, bags, shoes, wallets, and more. • At the cashier, Tommy Hilfiger gives discount coupons after payment. These coupons consist of (1) discount cards valid on certain dates, and (2) tape receipt same-day coupons which are only valid on the day of purchase. • Same-day coupons range from 10% discount on Calvin Klein accessories, 15% off on Calvin Klein apparel, and $5 off on your next Tommy Hilfiger purchase. • To score more discounts, buy one item first at Tommy Hilfiger. Once you get your same-day $5 coupon from Tommy Hilfiger, purchase other item(s) on your list so you can get $5 off. • This store is an ultimate haven for those who love bags, wallets, and small items. • Though the store is small, there are many designs to choose from and everything is on sale. There were plenty of items that are worth 50% off. • A few items are on display for a limited time offer in a small shelf. These items are on 60% off plus additional 20% off more. • If you have an existing CK membership and you are receiving discount codes via email, you can provide that discount code at the counter to get even further discounts. • The store also has additional discounts on certain weeks. The time I went there, they give further price reduction to teachers and students. • Same as in Tommy Hilfiger, Calvin Klein Accessories gives same-day discount coupons on Calvin Klein, Calvin Klein Accessories, but not on Tommy Hilfiger. • Registered members can earn points, which can be used on future payments. • Apart from CK Accessories, this store sells mostly apparel, underwear, belts, gloves, scarves, and fragrances. • Discounts on apparel is usually 40% and below. • Make sure to check the clearance shelves first, which are 70% off plus 20% off more. Stocks and sizes at the clearance counter are limited, but these are still good quality. • Same-day coupons are also being given after payment at the cashier. Same-day coupons are valid at Calvin Klein and Calvin Klein Accessories only. • Registered members can earn points. If you don’t have the physical card, you can provide the email address used in your registration. Your account and membership card can be used at Calvin Klein stores in the mainland US as well. • The Chanel counter is a bit small, but you can find Chanel’s most popular cosmetic products there. • If you see the Filipina senior sales associate and beauty consultant, she will gladly assist you and answer all your questions even if you don’t know much about the brand. She speaks fluent Tagalog, English, and Japanese. • Items are cheaper than the published US prices (in terms of SLGs). • If you’re a collector of Louis Vuitton’s luggage tags, you can get a hot stamped version of a coconut tree with “GUAM” marking on it, even if you don’t have a record of buying a Louis Vuitton luggage. The all-vachetta leather luggage tag that was shown to me was $65. • The sales associates were all accommodating and courteous, and will answer all your questions. The SA assigned to us explained the durability of the canvass, the quality of the hardware, replacement conditions, etc. • Hot stamping your initials can be done at the store, but you have to wait several hours (or go back the next day) as they have to accommodate previous customers. • This department store is your one-stop shop for your shopping needs, especially if you’re looking for American brands. • Apparel, bags, wallets, watches and accessories such as Michael Kors, Coach, Anne Klein, and more are available here. • Although the discounts aren’t as huge as in the outlet stores, Macy’s also has promotions and discounts up to 25% off (during the time we went there). During Black Friday sale, the discounts are even better. • They have newer stocks and items (check Ray-ban counter). • They also have a big selection of fragrances. • They have a MAC Cosmetics counter that sells limited edition products which can’t be found in Manila. 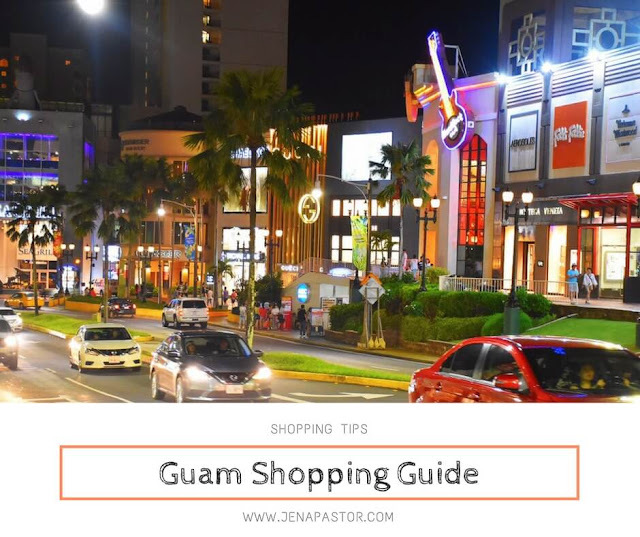 • This is perfect for last minute shopping at Guam International Airport (Antonio B. Won Pat International Airport). • It’s not as huge as T Galleria DFS, but you can find items here which you weren’t able to pick-up somewhere else. 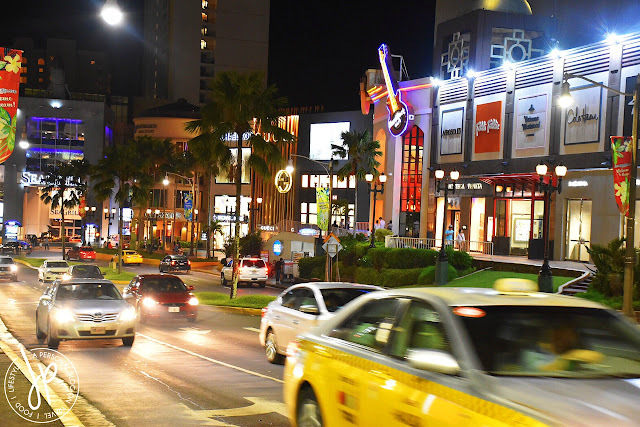 Ready to shop 'til you drop in Guam? Make sure to save up for your shopping fund when you visit!